The controversial congressman has been a member of Sons of Confederate Veterans. Max Blumenthal asks: Did he remain so even after it became a hate group? The controversial congressman has been a member of Sons of Confederate Veterans. 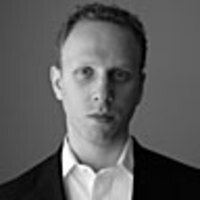 Max Blumenthal, author of the just-published Republican Gomorrah, asks: Did he remain so even after it became a hate group? Since Republican Rep. Joe Wilson of South Carolina bellowed at President Barack Obama, “You lie!” during the president’s nationally televised speech on health care, the fourth-term backbencher has emerged as a hero for the conservative grassroots. One of the most enthusiastic endorsements of Wilson’s histrionics came from the Sons of Confederate Veterans (SCV), a group that Wilson has belonged to according to his own biographical materials. SCV leader Kirk Lyons harbored dream of creating a seemingly benign front group for a more sophisticated version of the Ku Klux Klan. • Alex Massie: In Praise of Joe Wilson • Samuel P. Jacobs: Meet Joe WilsonLyons, a key member of this new leadership, had harbored dreams of creating a seemingly benign front group for a more sophisticated version of the Ku Klux Klan. “I have great respect for the Klan historically, but, sadly the Klan today is ineffective and sometimes even destructive,” Lyons told a German neo-Nazi magazine in 1992. “It would be good if the Klan followed the advice of former Klansman Robert Miles: 'Become invisible. Hang the robes and hoods in the cupboard and become an underground organization. '” With the SCV, Lyons discovered he didn’t have to go underground after all. • Watch: Joe Wilson: 'I Will Not Be Muzzled' Did Rep. Joe Wilson resign from the SCV as soon as the organization’s takeover by avowed white supremacists began? There’s no public indication, and his office phone lines have shut down under the blizzard of calls prompted by his Obama outburst, so he couldn’t be reached for comment. What we do know is that while serving as a state senator, Wilson led an SCV-inspired campaign in 2000 to keep the Confederate flag flying above South Carolina’s state capitol. “The Southern heritage, the Confederate heritage, is very honorable,” Wilson proclaimed at the time, responding to critics of the Confederate flag. Wilson’s rebel yell at Obama has electrified the Republican grassroots, filled his campaign coffers with donations solicited on conservatives websites, and earned the previously unknown backbencher primetime appearances on right-wing talk shows. Interesting choice.